The privet is a very traditional hedging plant, despite the fact that most cultivars are not native. Its popularity as a hedge plant is primarily based on its remarkably fast growth and dense foliage, both of which are excellent qualities for hedging purposes. However, its soft, dark green leaves and its tolerance of (extreme) pollution have also contributed to its status as one of the most popular hedge plants in the world. Despite not being an evergreen, a privet hedge will only shed its leaves as a result of particularly harsh winters. If that is the case, however, the leaves will grow back during springtime. The privet is simply an elegant, tough and adaptable hedge plant. 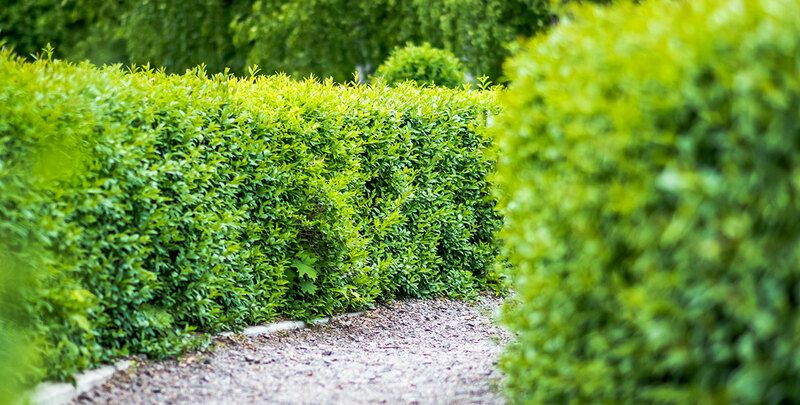 The traditional nature of privet hedges is likely caused by fact that they have been around for quite a long time. Its use as a hedging plant dates back to Victorian times, when it was very popular among people living in the bigger cities. City life does not allow for an extensive choice of hedges, but the privet is a tough, tolerant and undemanding hedge with a dense growth habit. The only downside to the growth rate and vigour of this plant is that it requires regular pruning. Ideally, privet hedges are pruned twice a year during the summer. Luckily, pruning is another thing the privet is very tolerant of, so the chances of harming the plant are very slim. While there are a few privet species that are native to Europe, most varieties originate from East Asia. Since those species also grow in the mountain ranges of the Himalayas, the privet is very tolerant of the cooler European climate. This was not always the case, however. When the plant was first brought to Europe in the eighteenth century, the first species introduced had significant problems surviving our winters. The native wild privet can still be found in the wild, but it is also often used as a hedging plant. Although we now have many cultivars available that are also well-suited for hedging purposes..
Privet hedges produce panicles of small white flowers during the summer, followed by black berries, which can make them quite ornamental. The flowers of formally pruned hedges usually fall victim to summer pruning, likely because their scent is considered rather unpleasant. This may be why the flowers are not often mentioned in relation to the privet, despite them being quite pretty. If these flowers do appear, they are valuable to wildlife. Butterflies and insects are attracted by them. The leaves are eaten by caterpillars and the black fruits are a food source for certain species of birds. One plant may produce thousands of those berries. Humans should stay away from the fruits though, because they are mildly toxic and are likely to cause gastrointestinal distress. 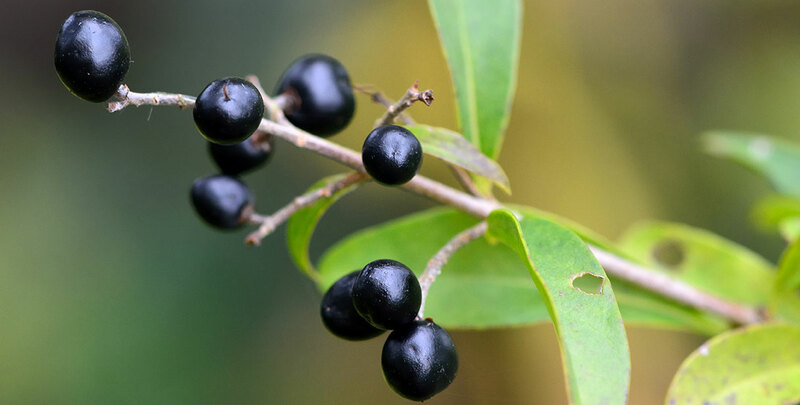 Ironically, the leaves of the Chinese privet are used to treat stomach ulcers, diarrhoea and chronic bowel problems, as well as sore mouths or throats. Its bark and leaves can be used in a bitter tea that helps improving appetite and digestion for patients going through chemotherapy. In our part of the world, however, they are most commonly used in an ornamental context, typically as hedges, but also as street trees or as part of flower arrangements. Due to its rapid growth, the privet is often considered an invasive plant, since it can displace native plants due to its adaptability. Privet also has more practical applications – the highly flexible branches of a privet can be used as cords for lashing. 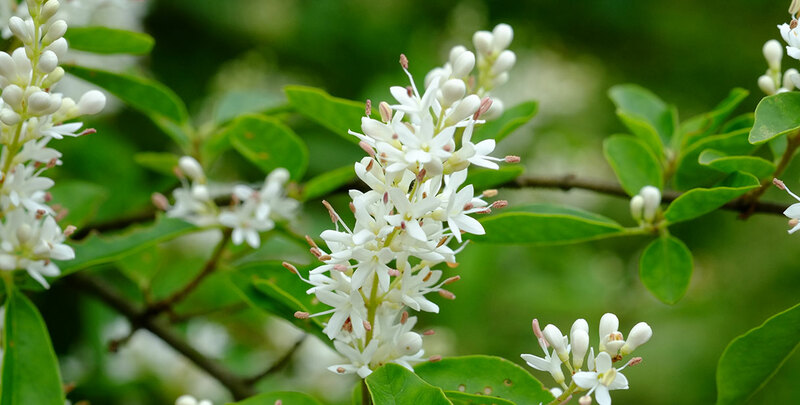 Two privet species are widely used as hedging plants all across the UK: the wild privet (ligustrum vulgare) and the oval-leaved privet (ligustrum ovalifolium). The latter of these is the most common, as it is more likely to retain its leaves throughout the winter and has a more formal character than the wild privet. It is also considered somewhat tougher. If you prefer the appearance of the wild privet, however, there is always the closly related cultivar privet ‘atrovirens’, which retains more of its leaves during harsh winters. While privet is mostly associated with neatly clipped, formal hedges, creating a more informal hedge with privet is certainly possible. The privet 'Atrovirens' is a better choice for mixed hedges, as they are often seen in the countryside. The oval-leaved privet is distinguished by its oval shaped leaves, while the wild privet has lance-shaped leaves and a bushier habit. Both species are deciduous or rather semi-evergreen, which means they may lose some or all of their leaves during cold Northern winters, depending on the variety chosen. Golden privet is the more decorative cousin of the oval-leaved privet and sports pretty yellow leaves. Privet species will thrive virtually anywhere – any well-drained, but moist (though not waterlogged) soil will do. Privet will grow vigorously even on chalky, heavy, poor and polluted soils. A site in the sun or partial shade is fine, but dense shade is less advantageous. It tolerates an exposed position or coastal sites. Privet can be used to create an excellent privacy hedge due to its dense growth habit. If you do not have the time or patience to wait for your privet to grow tall, it is also possible to buy privet as an instant hedge. 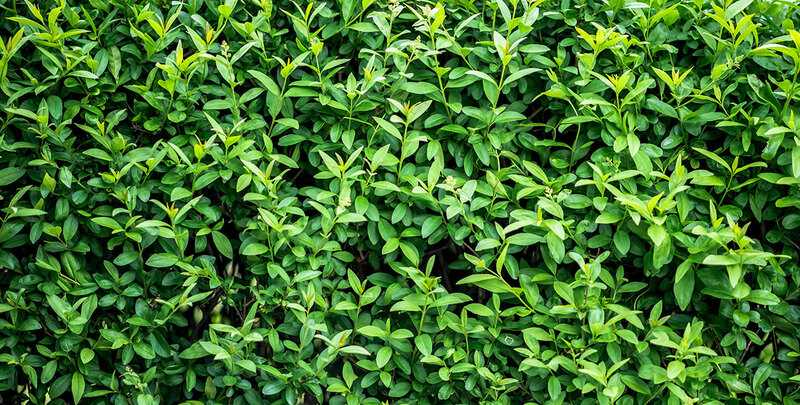 Just make sure your privet hedge is properly drained and you will be rewarded with a tough, tolerant and undemanding hedge with a dense growth habit that can reach a height of 4 metres at 30 centimetres per year. Pruning is also unlikely to harm your privet hedge, since it will recover from almost anything you do to it. This opens the possibility of using it as a topiary specimen. Especially the more formal and dense oval-leaved variety. A privet hedge is simply an elegant hedge that offers a variety of possibilities.